Happy Valentine’s Day! In celebration, we made a new graphic to soak in the sea and sand love. 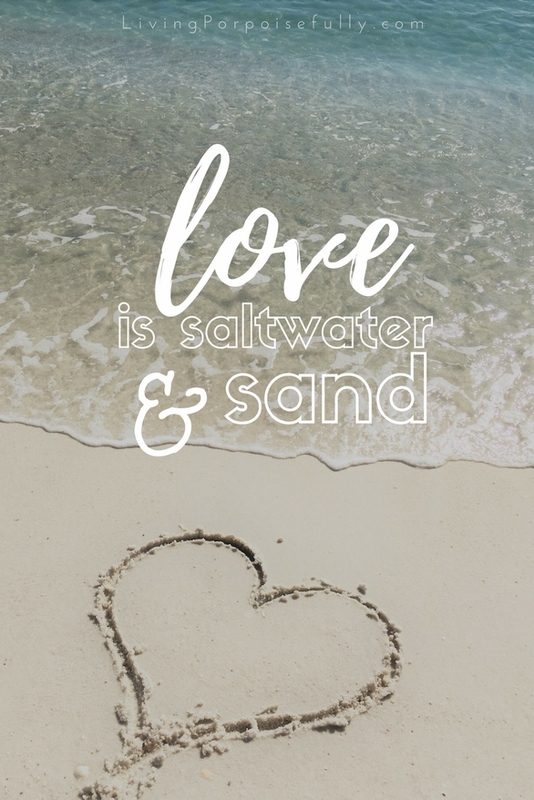 There’s something so soul-fulfilling about the feeling of saltwater and sand…there’s no other way to describe it except, well, love! It’s just one of the many forms that love can pop up — in nature, in the eyes of a loved one, in your furry companions, in a delicious meal, the simple gifts of each day, or a travel adventure. So we hope our graphic gets you a little closer to that feeling, whether you’re miles inland or by the coast. Take a moment to breathe in the love that’s around you! I am breathing in the love, and the sea. Thank you!